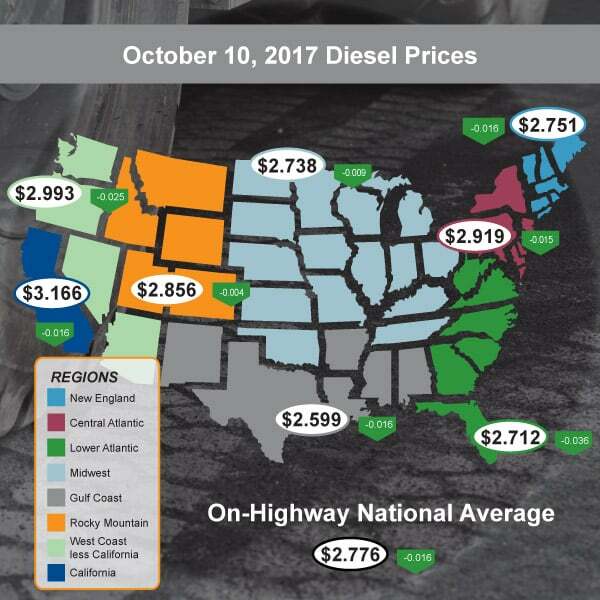 Diesel prices are coming back down according to the U.S. Energy Information Administration. The on-highway national average dropped a total of -$0.016 to $2.776 a gallon this past week. Fuelers in the Lower Atlantic experienced the largest change going down -$0.036 to an average of $2.712, while drivers in the Rocky Mountains saw the least impact only dropping -$0.004 to $2.856. No matter where your fleet operates, make sure that you purchase your fuel with the “Powerful Card”. It offers cash price at the pump and savings through the Zero Fee network.